The word “diet” makes us frown because it’s synonymous with deprivation, hanger, and missing out. Plus, when done incorrectly, diets are actually a big waste of time. Psychology Today reports that 95 percent of those who engage in deprivation diets gain the weight back within two years because instead of making lifestyle changes, people temporarily cut out certain foods and then go back to them like a moth to a flame. So instead of depriving ourselves this year, let’s focus on establishing a well-balanced diet that includes things that are packed with healthful benefits while being good for the soul (like candy!). To help, we’ve come up with a list of tips focusing on how you can have your cake and a hot bod too. Too much sugar causes mood swings, headaches, and weight gain, but some of us have an unrelenting sweet tooth that demands a sweet fix every now and again. That’s where sugar-free sweets come in! While even sugar-free beverages and treats should be enjoyed sparingly, it’s a great way to swap out calories without feeling like you’re missing out on something you love. Shop for sugar-free candies you can bring home that will keep you on track with your diet plan. Eat sweets that have added health benefits. Over the years, the word “fat” has gotten a bad rap. Some fat is actually really good for you (like the kind found in beans and avocado). The same goes for candy ingredients like chocolate. Dark chocolate (with a high cacao percentage and low sugar) is packed with antioxidants and heart-disease-fighting properties. 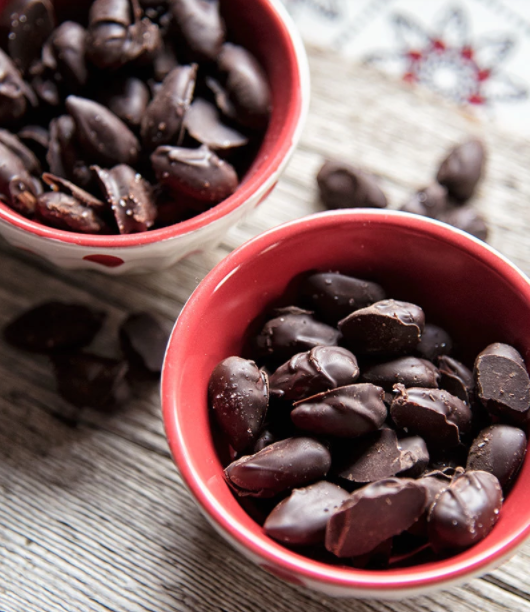 To enjoy something decadent that’s actually pretty good for you, melt dark chocolate at home and try this chocolate covered almond recipe that’s Paleo diet-approved and offers the benefits of lowered blood pressure and cholesterol. It’s a common misconception that when you diet, you shouldn’t eat, but that’s really not true. Eating low-calorie snacks throughout the day prevents binging because your blood sugar never crashes. It also keeps your metabolism working and burning the body fat you’re trying to get rid of. If you’re looking for certain foods that are good for you and fill you up for longer periods of time, try chickpeas, spinach, sauerkraut, ginger, eggs, and coffee. These foods have all been shown to keep your brain and tummy happy for longer. The whole “in moderation” piece of advice has been touted and debunked across various news networks. On the pro “in moderation side” you have groups like Weight Watchers that assign points to certain foods so you can do exactly that—enjoy in moderation. However, naysayers don’t like the vagueness that the term “in moderation” presents, since everyone has their own opinion about portion size and snacking frequency. We’d say that if you stick to the serving sizes marked on packaging and analyze nutritional information there, then you can determine moderation pretty easily and stick to a well-balanced diet. 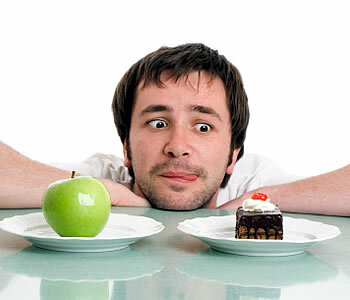 Solidifying a new habit takes two weeks, so keep that in mind as you begin a better diet or exercise regimine. Over the course of a couple weeks or a month, slowly integrate healthier alternatives into your diet and swap out fattier foods (the ones that have trans fats or are highly processed). We like the strategy of “swapping one for one” which suggests you should choose one food you normally eat and substitute a more wholesome variety every day. If you need help with diet plans, check out Eating Well’s recipe suggestions. As we kick of 2017, remember to cut yourself some slack as you go after new or rigorous resolutions. And if you need a reward or treat as you get closer to your health goals, check out our inventory of sugar-free snacks and yummy sweets on CandyStore.com. Afterall, you’ve earned it! *CandyStore.com is not a health professional, and everyone considering diet and exercise plans should consult a doctor or licensed nutritionist before starting.